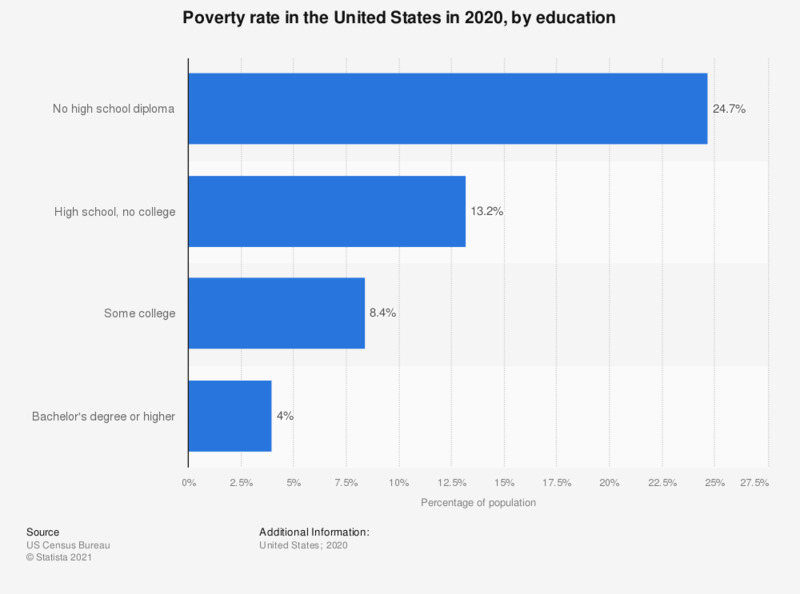 This statistic shows the poverty rate in the United States among all people in 2017, by education. In 2017, about 5.47 percent of the people with a Bachelor's degree were living below the poverty line in the United States. * The abbreviation DDS stands for Doctor of Dental Surgery, JD stands for Juris Doctor, PhD stands for Doctor of Philosophy, EdD stands for Doctor of Education. The U.S. Census Bureau uses a set of dollar value thresholds that vary by family size and composition to determine who is in poverty. A person under 65 living alone is considered poor, if the annual income is less than 11,888 U.S. dollars. This threshold is calculated for 2013.